Chemo Ducks are cuddly stuffed ducks that are used as a tool to help staff and parents better prepare children for chemotherapy and eliminate the fear of the unknown. Paediatric oncology patient Derek was hoping to bring this fantastic program to the Paeds unit at Windsor Regional Hospital’s Met Campus but needed the support from a local organization to do so. 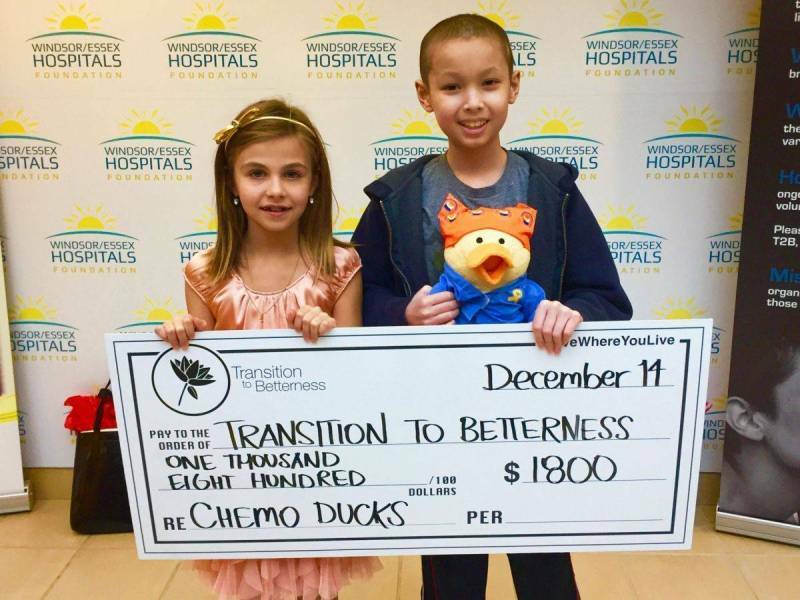 In 2015, young T2B supporter Julia Martin raised the funds for Transition to Betterness so that this program could be launched through our Paediatric Oncology Programs. 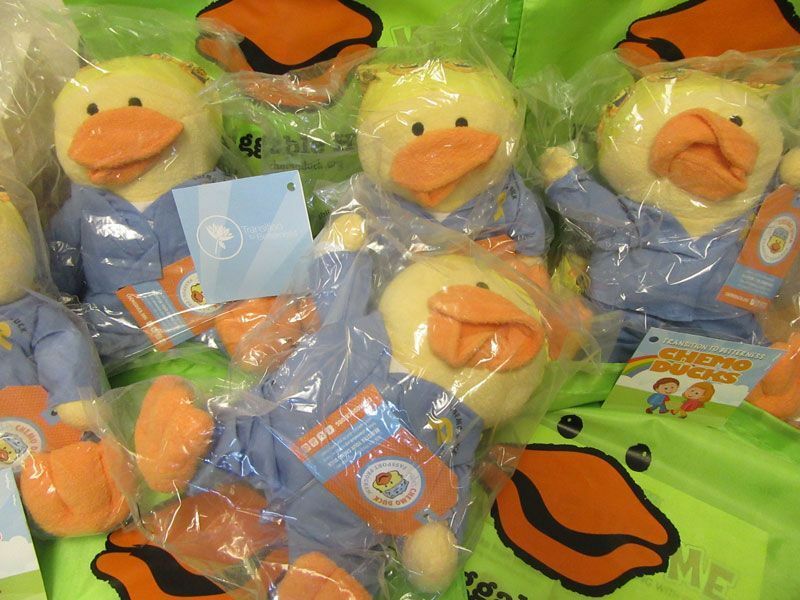 The Chemo Duck Program includes educational support material to help children and families understand their health situation. 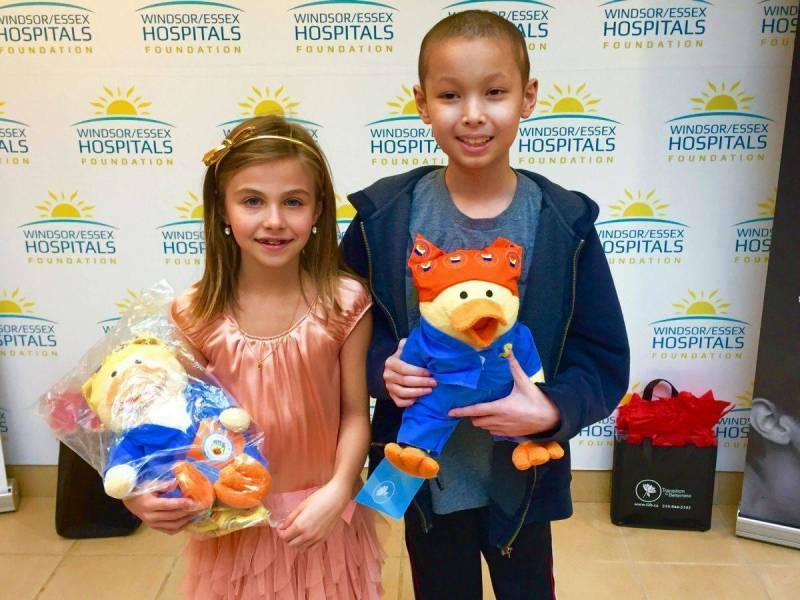 Every Chemo Duck comes with an educational coloring book, a DVD explaining the program and access to an abundance of information to help families organize their lives during an extremely difficult time.